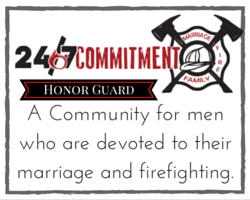 24-7 COMMITMENT is a 501(c)3 corporation in the state of Ohio, and now a federal non-profit on a mission to make happier marriages, families and first responders. 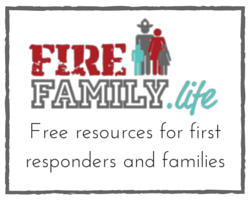 Our organization grew from the grass roots via social media when Lori Mercer (with the permission and support of her husband Dan, a firefighter) shared a blog post in July 2012 about the challenges of their marriage and her struggles to understand the fire life. (Read that original post here). The emails that flooded in were filled with emotion. Many were struggling and needed to hear this message. They were not alone. 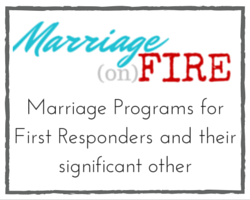 Since that first blog post, the mission grew to create safe, encouraging communities for spouses of firefighters (the Fire Wife Sisterhood), Marriage Weekends and the Honor Guard, a private community for men who are devoted to their marriages and the fire service. Q: How are we funded as a federal nonprofit? Our organization grew by individual firefighters and fire wives financially supporting us through subscriptions and memberships. We have various levels of memberships available depending on personal needs. A key component to our community is the personal commitment to change the culture of the fire service to grow happy, healthy marriages and families, and in turn, better firefighters. One-time donations are another way we are able to continue to reach out and support fire families. And we welcome your fundraising efforts on our behalf. Q: How can I become a supporter? 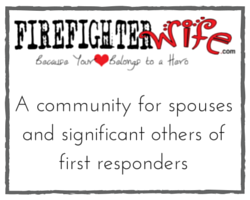 You can become a supporter by becoming a supporter of the Fire Wife Sisterhood or Honor Guard, register for our Marriage on Fire Program, register your department for the 24-7 COMMITMENT program, or you can make a one-time donation to help us sponsor new fire families. The funds help us to create new resources and develop existing resources and programs, operate our private support communities, train facilitators, and hold events designed to strengthen fire families. We truly believe in giving back. For every new spouse who joins the Fire Wife Sisterhood, we sponsor a new fire wife into the community. 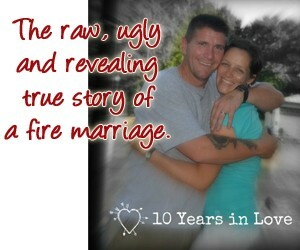 For every new couple who joins our Marriage on Fire Community, we sponsor a new fire family into the community as well! We also sponsor local "date nights" for firefighters and their spouses. We are real, transparent, and direct. If you have any questions regarding our organization and use of funds, we would be happy to answer them. You can contact us here.